One of the most delicious things about being on holiday is being able to sit back and contemplate the scene before you, without rush or demand. 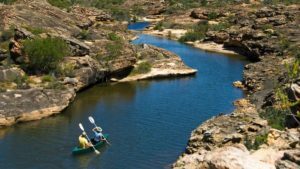 A country of varied landscapes and spectacular scenery, South Africa is an ideal country in which to create a scenic holiday with many opportunities to pull up a chair and enjoy some of the most magnificent vistas on earth. 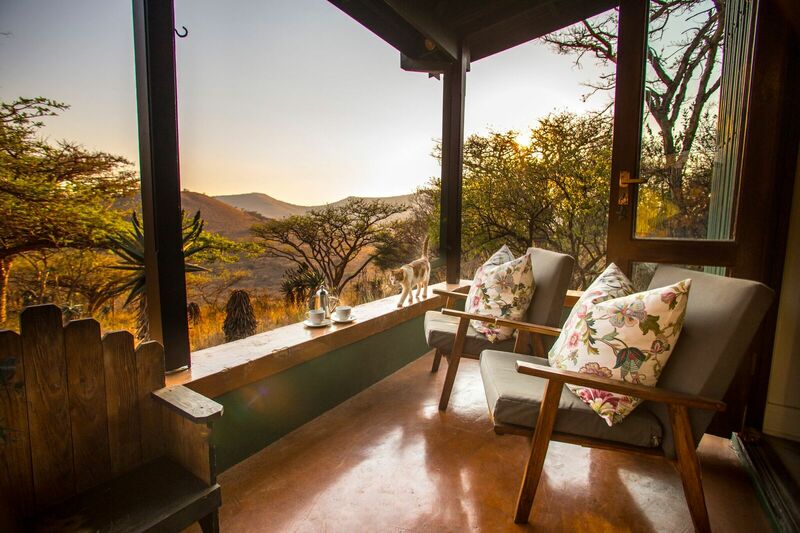 The Honeymoon Suite at Rhino Ridge Safari Lodge in KwaZulu-Natal is a just the place to recline, with endless views across Hluhluwe-iMfolozi Park, the oldest of South Africa’s proclaimed game reserves. Rates, Availability & Online Bookings. 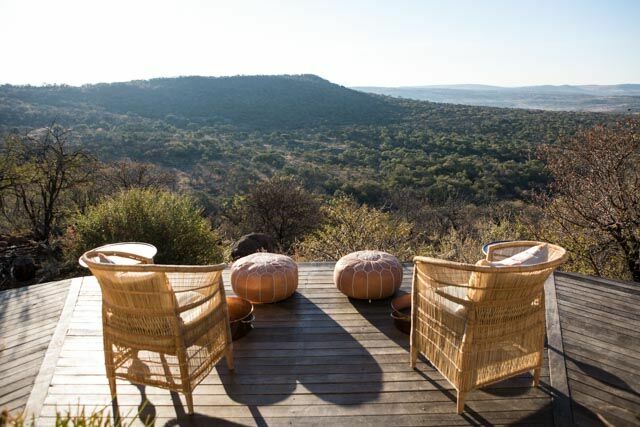 Sit back and catch the sun on the spa deck at Nambiti Hills Private Game Lodge, soaking up fantastic views of the Big 5 Nambiti Game Reserve. Rates, Availability & Online Bookings. The Family Cottage at Three Tree Hill Lodge in KwaZulu-Natal has this lovely verandah for sitting out to enjoy the tranquil Spionkop Valley. Rates, Availability & Online Bookings. 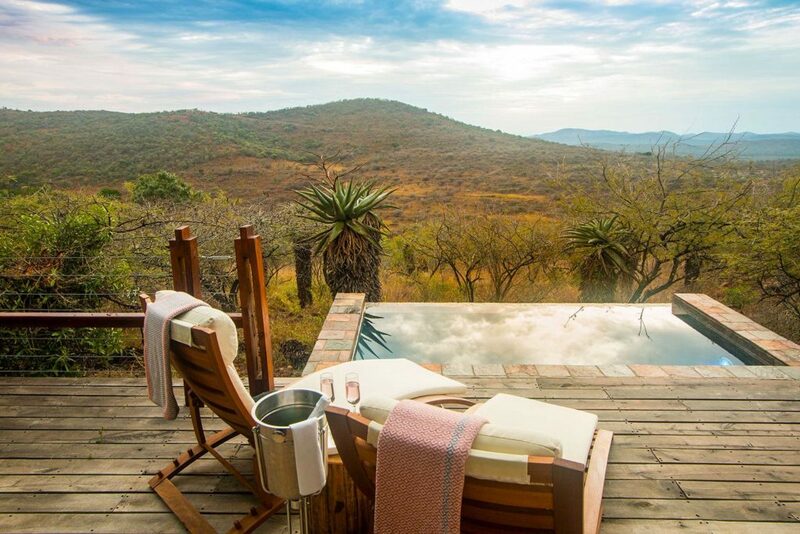 A chair is waiting for you at the stunning Kapama Karula, a luxurious safari lodge secluded along the banks of the Klaserie River in Limpopo where views of the wilderness are soothing. Rates, Availability & Online Bookings. At Idube Game Lodge in Sabi Sands Game Reserve, Mpumalanga, you don’t only see wildlife on game drives. 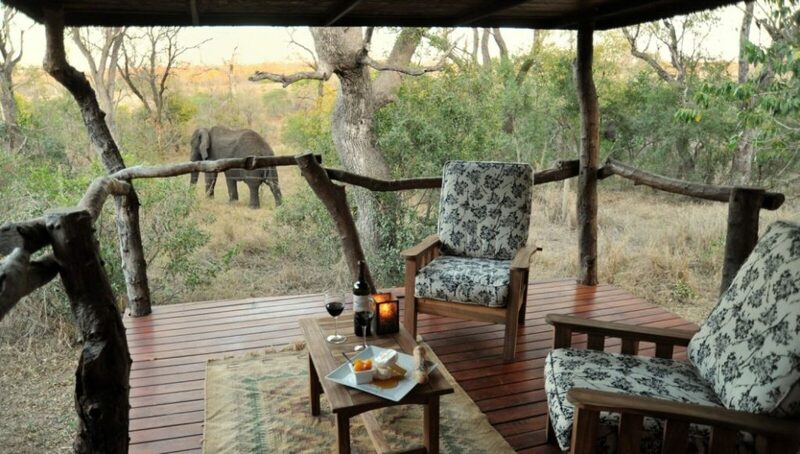 Take a seat on one of the leisure decks in camp and you will very likely soon be marveling at passing animals. Mail us. 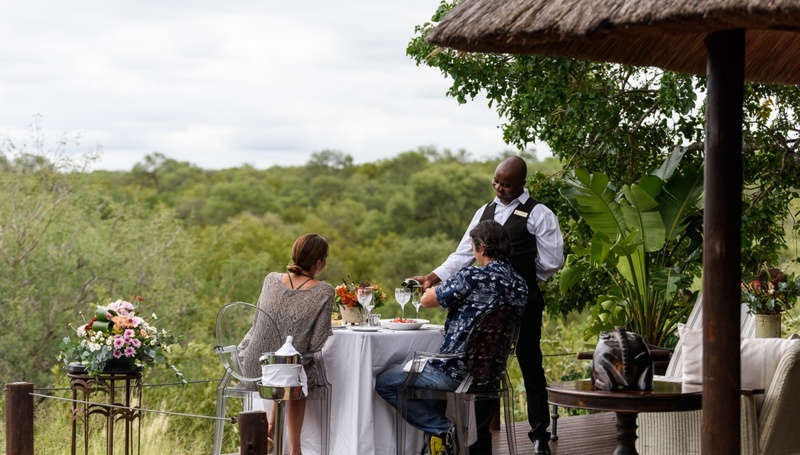 The private deck of your suite at Imbali Safari Lodge is just the place to sit out and enjoy the peaceful bushveld surroundings, a glass of bubbly in hand. 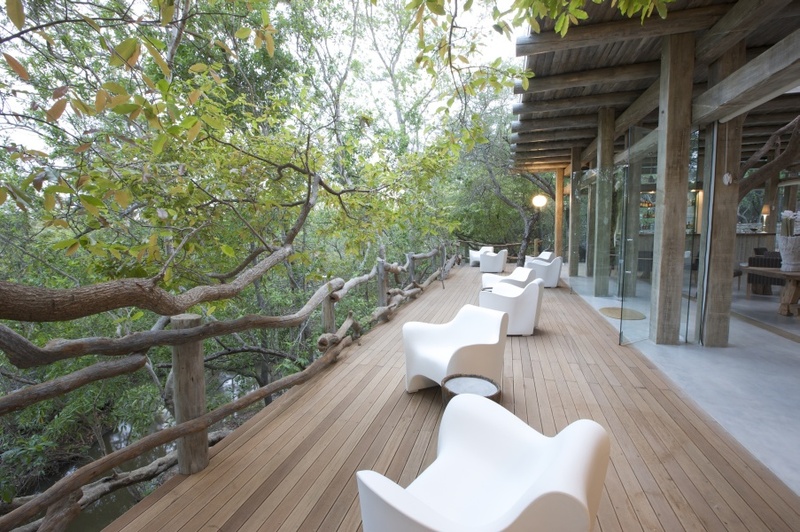 This lodge is set beside a river in a private concession of Kruger National Park. Mail us. 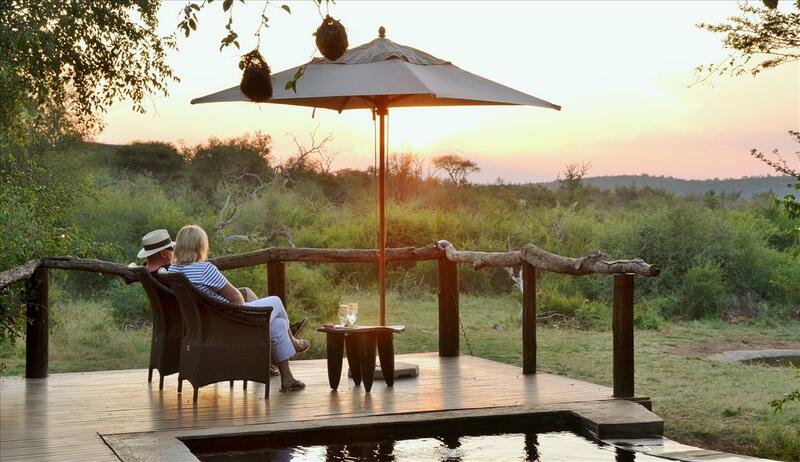 Grab a chair to sit and listen to the birds in Madikwe Game Reserve. 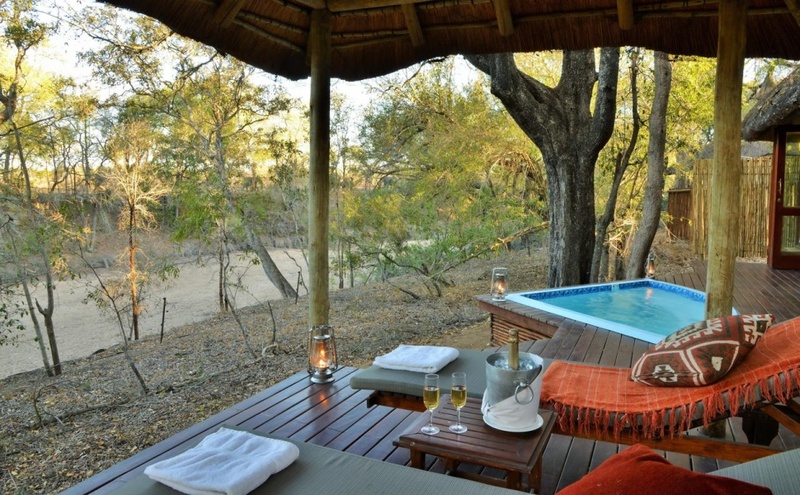 Tranquility has no limits here in the Big 5 wilderness at Motswiri Private Safari Lodge. Rates, Availability & Online Bookings. 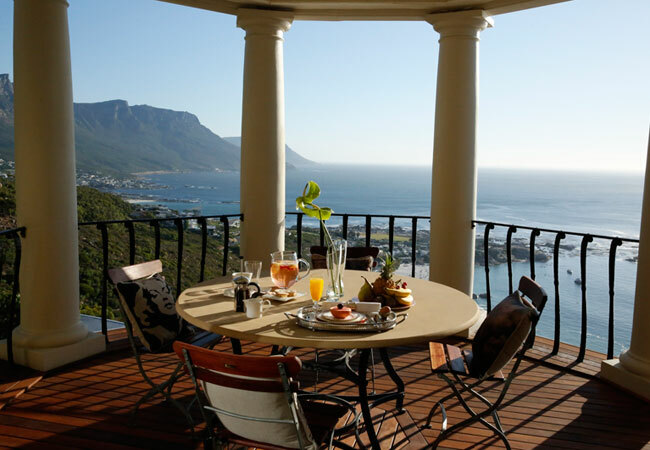 At 21 Nettleton in Cape Town’s opulent suburb of Clifton, you have prime seats for enjoying the great Atlantic Ocean from up above on the mountain slopes. Rates, Availability & Online Bookings. 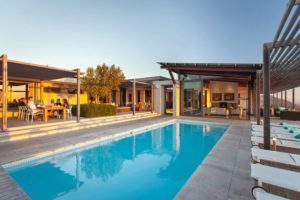 The Cape winelands spills over with beautiful scenery featuring sprawling vineyards, mountains and lush green valleys. 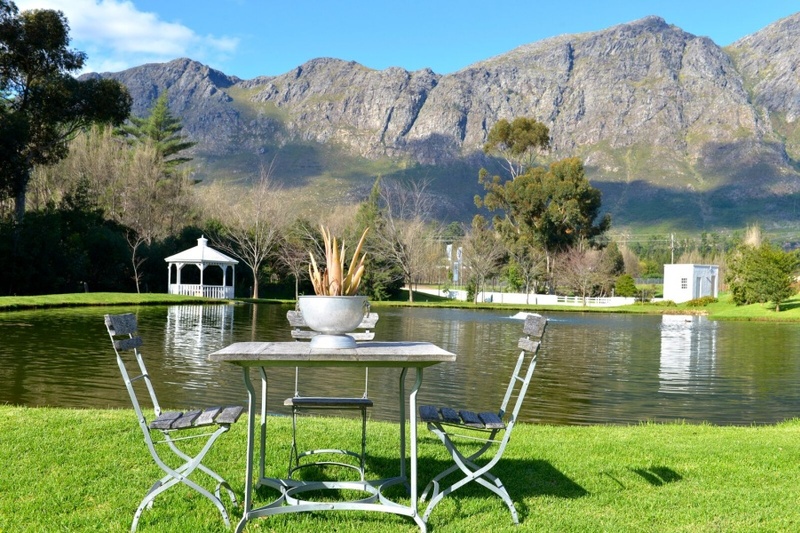 Take a seat at the khoi pond in the gardens at Holden Manz Country House to enjoy the peace and beauty of the Franschhoek Valley. Rates, Availability & Online Bookings. Each year the waters of Hermanus create a sanctuary for calving whales. 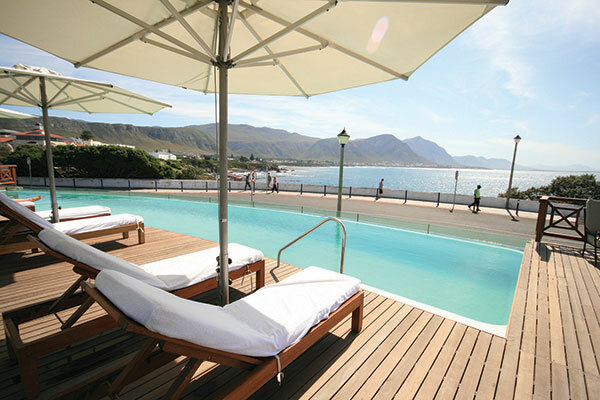 Take up your position on a pool lounger at Harbour House Hotel and enjoy Hermanus’s grand sea views which could include whale tails in season. Rates, Availability & Online Bookings. 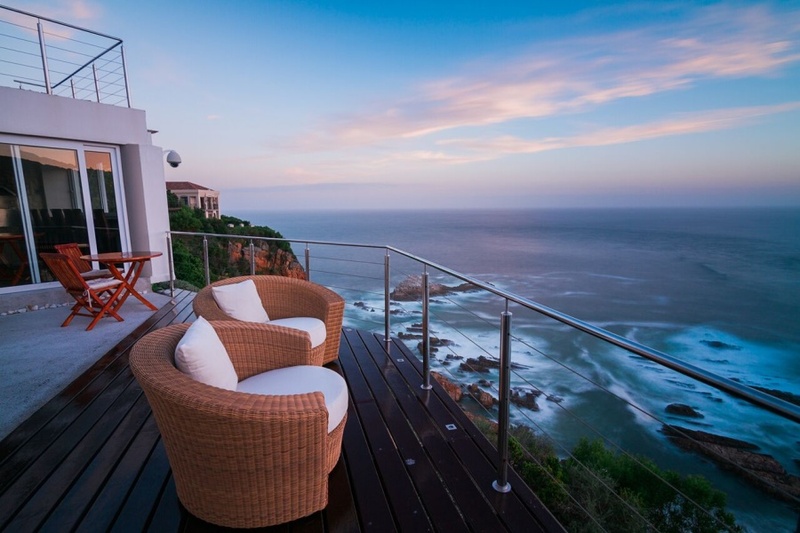 Head over Hills is an exclusive holiday retreat on the Garden Route, idyllically situated on the cliff edge in the area of the Knysna Heads, two sandstone cliffs that separate the Knysna Lagoon from the sea. Head Over Hills has a bird’s-eye-view of a breathtakingly beautiful spot. What a place to pull up a chair! Rates, Availability & Online Bookings. 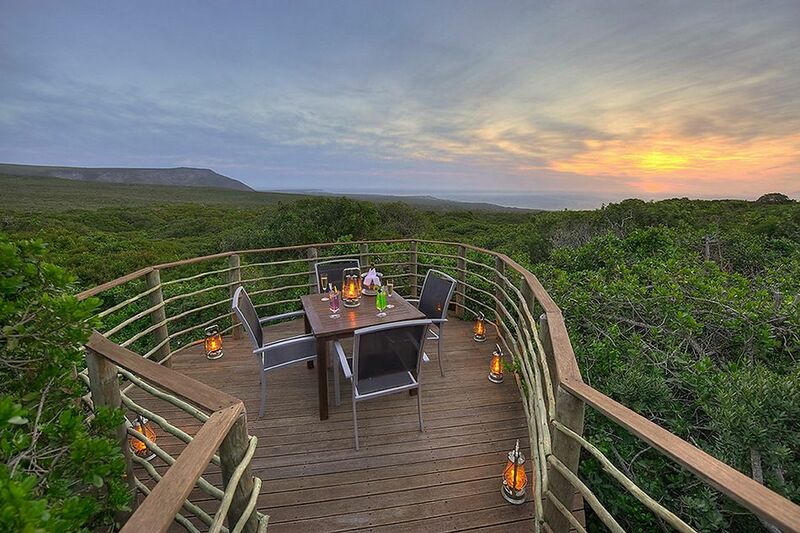 This idyllic sitting place in Grootbos Private Nature Reserve offers spectacular views of forests and Walker Bay beyond. Rates, Availability & Online Bookings. Sundown in the bush is a special time of day. It lends itself to still moments, to take in the beauty of the sky just before the sun sets, and to toast a day in the wilderness. 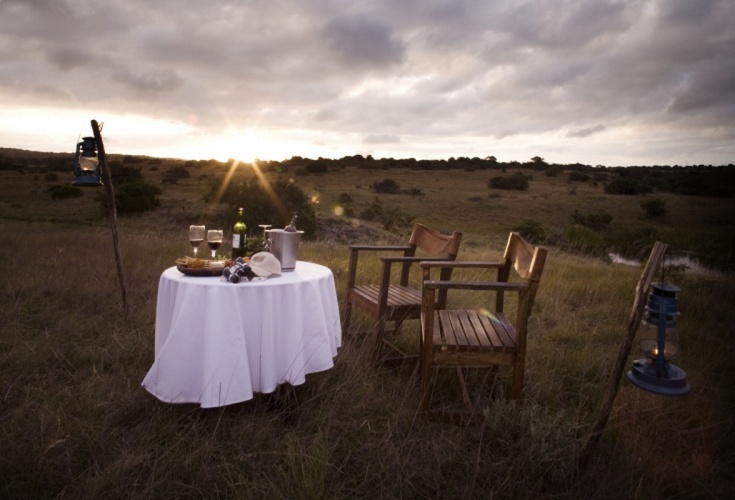 Chairs are set for sundowners in the bush at Hlosi Game Lodge in the Amakhala Game Reserve in Eastern Cape. Rates, Availability & Online Bookings. 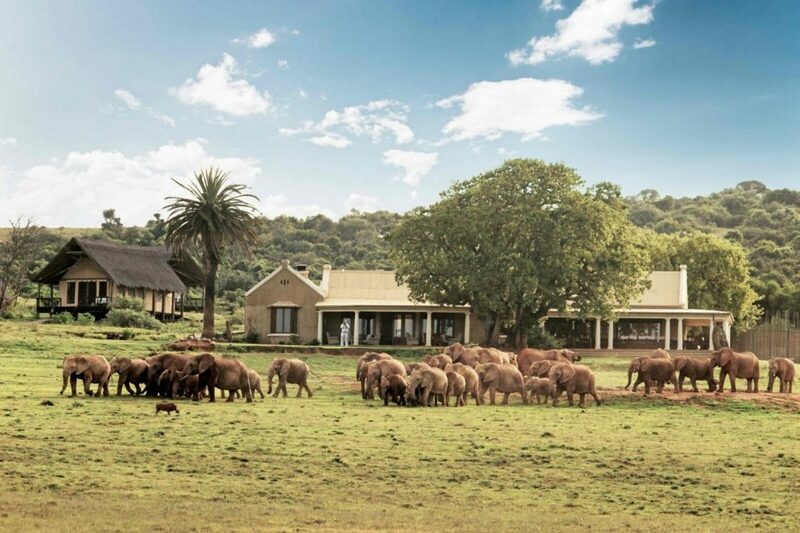 The wide, shaded verandah at Gorah Elephant Camp provides front-row seats for sightings of elephants in Addo Elephant National Park in Eastern Cape. Rates, Availability & Online Bookings. Mail us to book a first-class holiday or luxurious weekend escape in South Africa, or call +27 21 797-7122 (international) or 0860 102 907 (local).